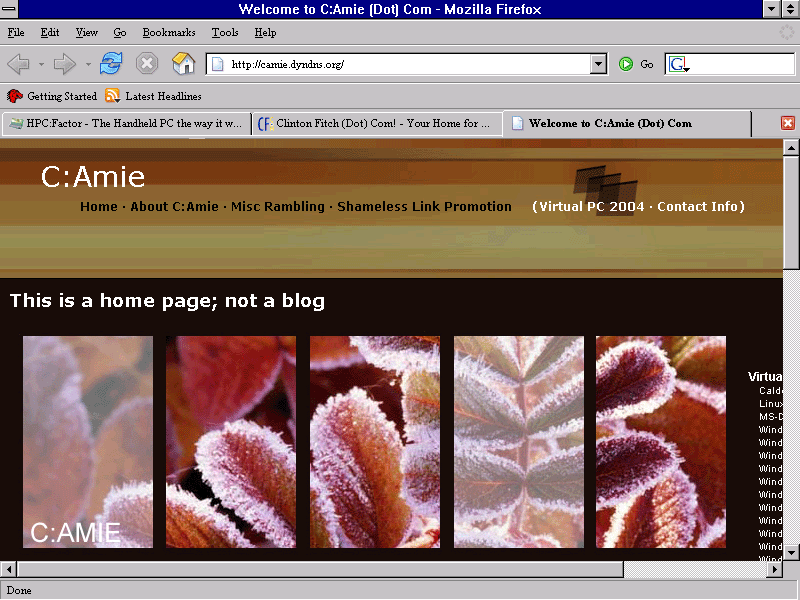 Virtual PC/Virtual Server Archives - C:Amie (not) Com! It’s very nice of Microsoft to make the ISO available to so many people for testing, and I hate to think how many downloads and DVD burns that will equate to – though I shant dwell on the fact it took 3 download attempts to actually get the thing, the first keeling over at a robust 89% before the Akamai server decided it didn’t want to resume and reset the file stream to 0%, and the second a hearty 71% before I was graced with the same announcement. What if you either don’t have access to a DVD Burner, the test PC you plan to install on has a DVD drive that doesn’t accept the burn media from the DVD-Writer (like me) or you just don’t like wasting Disc’s on one hit wonders (like me). In amazing thoughtful form, the Virtual PC ISO mount driver cannot seem to address ISO’s over a couple of GB, handy when a Vista ISO weighs in at 3.12GB. So here’s a nice 100% Microsoft way to get aroung the problem. When I was working on Windows 2000 SP4, SP4 URP and on the short lived Windows Security CD beta’s, Microsoft introduced a nice MFC utility to the beta core to instill a sense of environmetntal responsibility in us – after all we were getting weekly builds. The Virtual CD Control Panel Driver application is a ISO mounter in a stand-alone form running at the driver layer (VCdRom.sys), with no resident applicaiton layer (aside from the service start/stop/mount MFC application). Unlike its counterpart in Virtual PC, it isn’t restricted to the size of the volume it can mount – at least any ISO I have ever tried. The driver identifies itself to Windows as a de facto Optical drive, complete with drive letter. The short answer to the problem is that the Virtual PC Physical drive mounter doesn’t actually care what it is mounting so long as it is identified as an optical drive. By piggy-backing the ISO through the VCdRom driver, you can get around the limitation’s of Virtual PC. The Virtal CD Control Panel runs under any NT 5 based OS, is completely free and is a Microsoft application – be it an unpolished one. The VCdRom driver is naturally a software based solution, as a result there is bound to be a nominal impact on performance, however in the greater scheme of VPC2004 performance hits, it is indistinguishable from a pre-Additions installation of any OS. A 67 character file name, or a nice round 536-bit ASCII string with a couple of periods thrown in for good measure. The simple fix: Shorten it and drop all but the suffix identifier period. Vista.iso will do nicely in the event you cannot think of anything creative. Virtual PC 2004 ritually insists upon creating the a “My Virtual Machines” directory beneath your user profiles My Documents root, even if you have previously deleted this folder and frequently set the ‘working’ path to another location while in the file browser. If you wish to store your VMC and VHD data elsewhere on your system or network, you must manually specify the full path to the Virtual PC Console each time you make configuration changes, as well as delete a new instance of My Virtual Machines. This seems like a simple, yet typically Microsoft omission from the program – utterly defeating the idea of it being “My” Documents in favour of whatever Microsoft, Adobe, BVRP etc want to make it. Most applications store working path information in the registry’s Current User settings, Virtual PC has, however been hard coded with its user profile paths, making non of the traditional registry keys beneath the Current User Software hive. By default, Virtual PC creates the virtual machine configuration files (.vmc) in My Documents\My Virtual Machines. Virtual PC then stores other files that are used by the virtual machine in the same folder as the .vmc file. 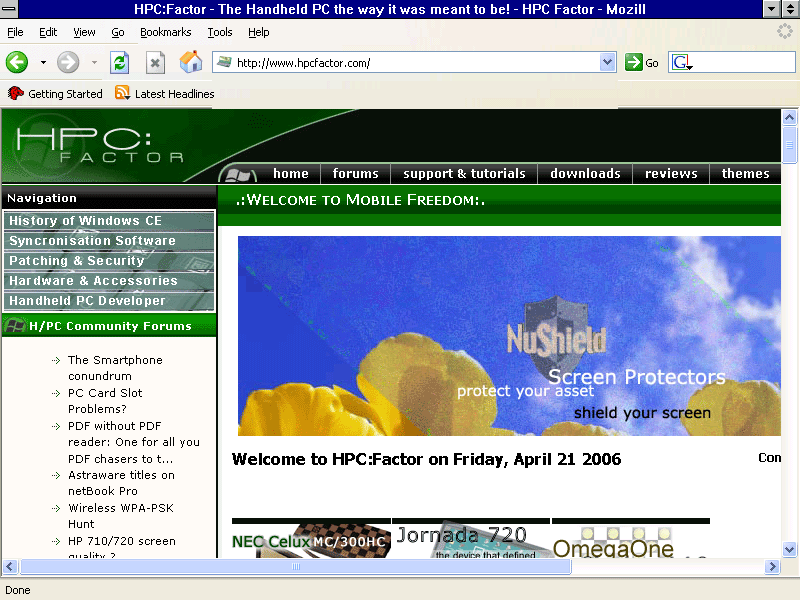 This is controlled on the host operating system by the MYVIRTUALMACINES environment variable. You can change the MYVIRTUALMACHINES environment variable to a different location. For more information on how to change environment variables, consult the documentation included with the version of Windows on which you have installed Virtual PC 2004. What this is saying, in case you’re don’t happen to have a MCSE, is that as a counter measure, Virtual PC will screen for the presence of a Shell Wide configuration pointer (Environment Variable) defined as MYVIRTUALMACHINES. Ever seen, for example, “%SYSTEMROOT%” or “%TEMP%” pop up before in Windows? They are environment variables specifying where the Windows folder (Q:\Windows\) and global Temp folder (N:\Eccentric\Folder\Naming\Temp\) are. The Environment Variables are considered constants, and not likely to change – if indeed they will ever change. Administrative privileges are required to set or unset an environment variable, lacking the susceptibility of the registry. As they are global, they will already be considered active no matter who is logged into the system (unlike with Current User Registry settings) and unlike with Local Machine Registry settings, are globally available to anything looking for %MYVIRTUALMACHINES%. Saving the system or VPC drivers from specifying access to reams of registry hive to get to the desired few bytes of information. There are two ways to set an environment variable. Under Variable Value enter the Full System Path to your new MVM root e.g. Exit and restart Virtual PC for the change to become active under Virtual PC. Set the value to equal the Full System Path to your new MVM root e.g. If you set the variable by hand in this fashion, you may need to log off before the change is recognised by the system. Once you have added the system environment variable, Virtual PC will stop creating the My Virtual Machines folder beneath My Documents, and will default file system browser windows to the new MYVIRTUALMACHINES path.